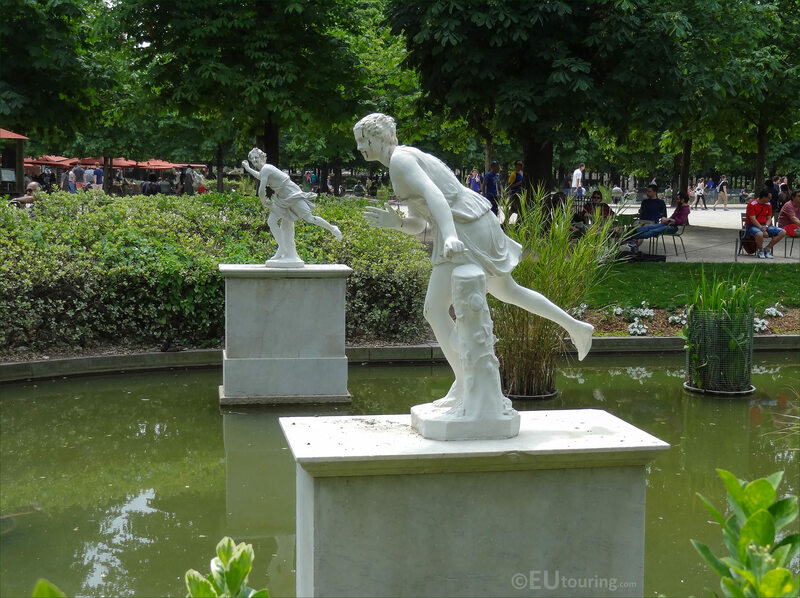 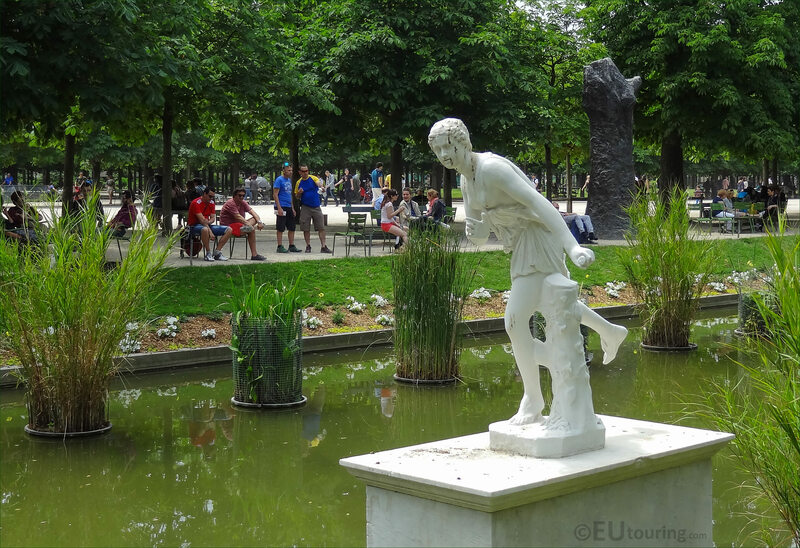 Below you can see high definition photos we took of a statue called Atalante, which was sculpted by Pierre Lepautre and can be found within the Jardin des Tuileries in the 1st Arrondissement of Paris. 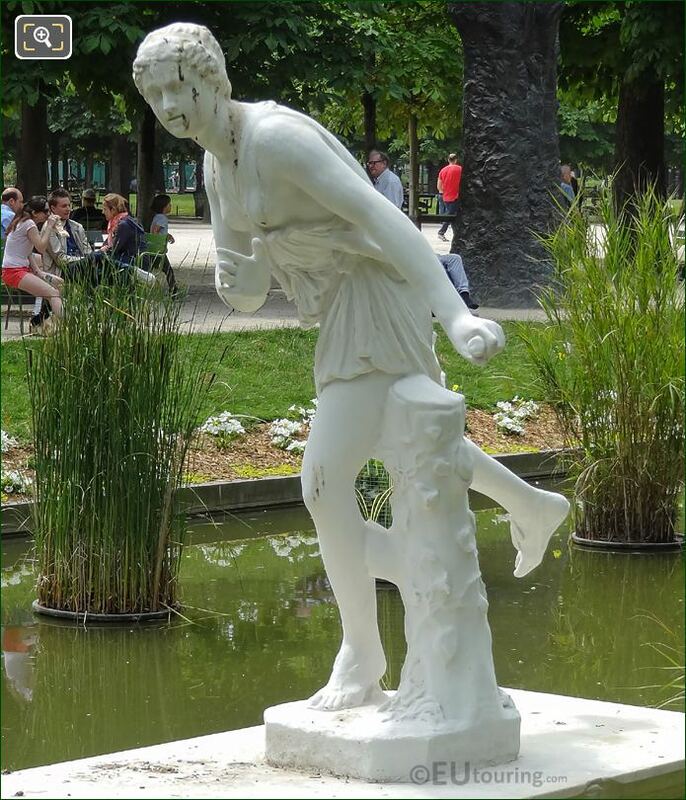 This first HD photo shows the statue called Atalante, who is a character in Greek mythology, which is spelt Atalanta in English, based upon old stories she was brought up in the wilderness and was a great hunter and exceptional runner, who only agreed to get married if the person could outrun her in a footrace. 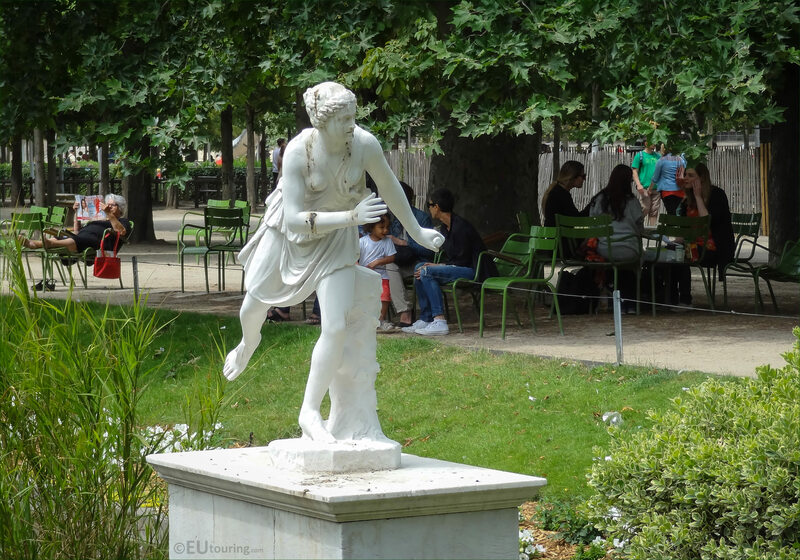 The statue of Atalante was actually a copy of an ancient statue that was produced between the years 1703 and 1705 by the French sculptor Pierre Lepautre who spent time in Rome at the French Academie after having won the Colbert Prize, which later became known as the Prix de Rome. 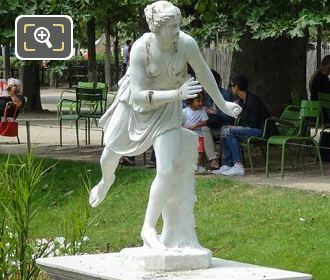 Produced in marble, Atalanta was one of a pair of statues that were destined for the Chateau de Marly, and the other that you can also see in this photo was called Hippomenes, which was sculpted by Guillaume Coustou the Elder, and initially placed by the west basin of the Parc de Marly in 1706. 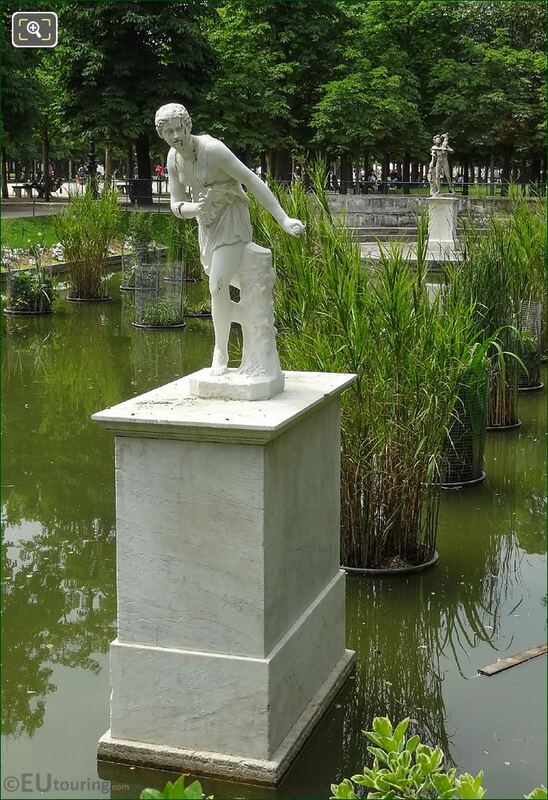 However, these were moved to a carp pond within the grounds of the chateau in 1711, which is where they remained until the French Revolution, when they were seized, but then placed within the Tuileries Gardens in 1798 within one of the exedres, that are sometimes referred to as porticos in English. 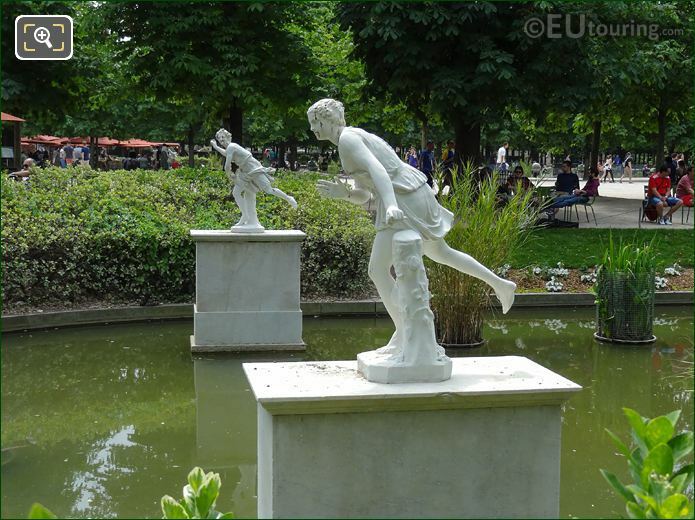 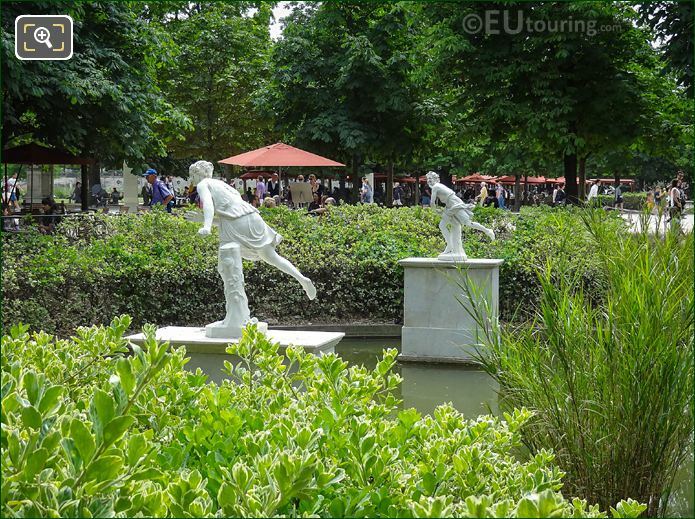 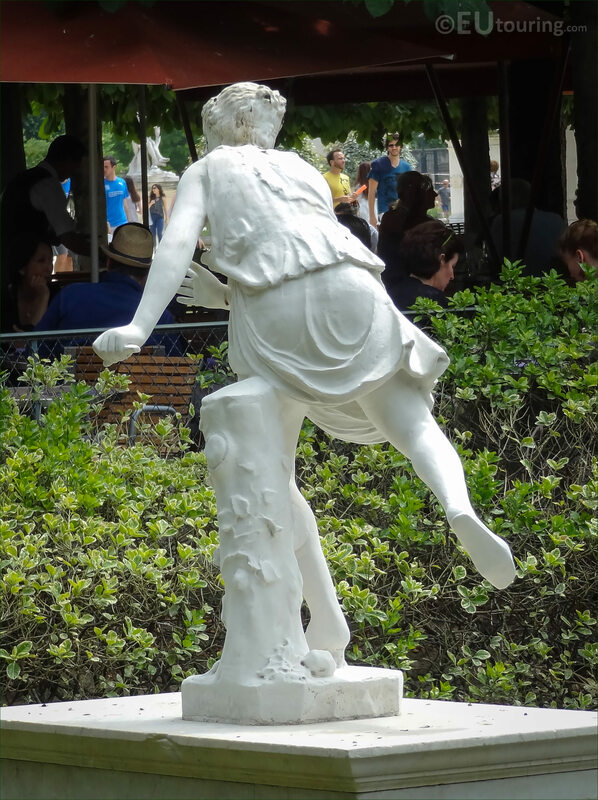 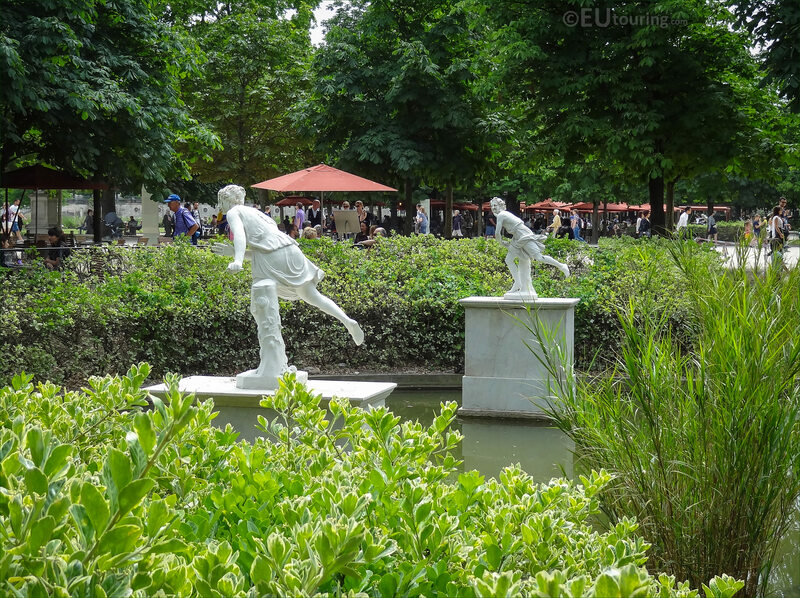 Now as you can no doubt tell, Atalanta is portrayed as running, and this set including Hippomenes is based upon the same theme as that of Apollo and Daphne from Greek mythology, and this marble statue remained within the pond of the Jardin des Tuileries until 1940. 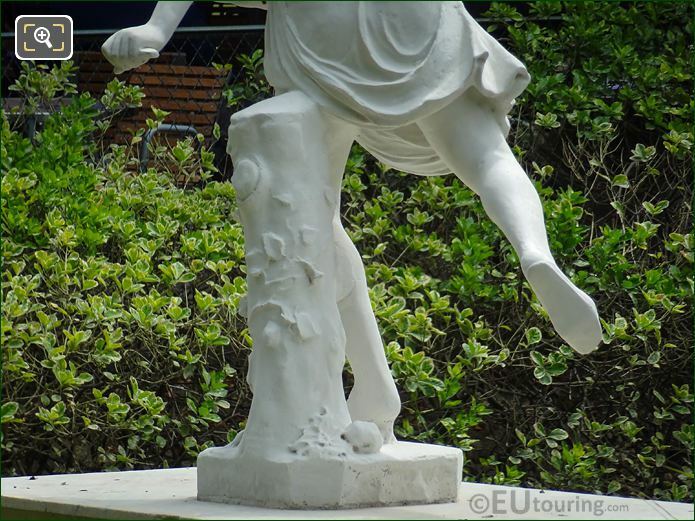 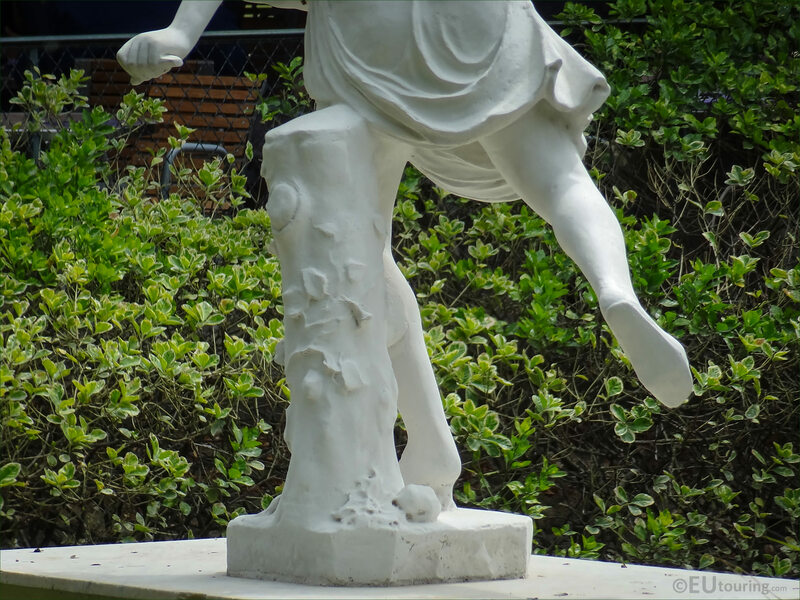 Yet here you can see a close up photo showing a tree stump next to Atalanta, which provides more realism to the story of her in a footrace through the wilderness where she grew up, and even an ancient statue of her held within the Vatican has this same aesthetic. 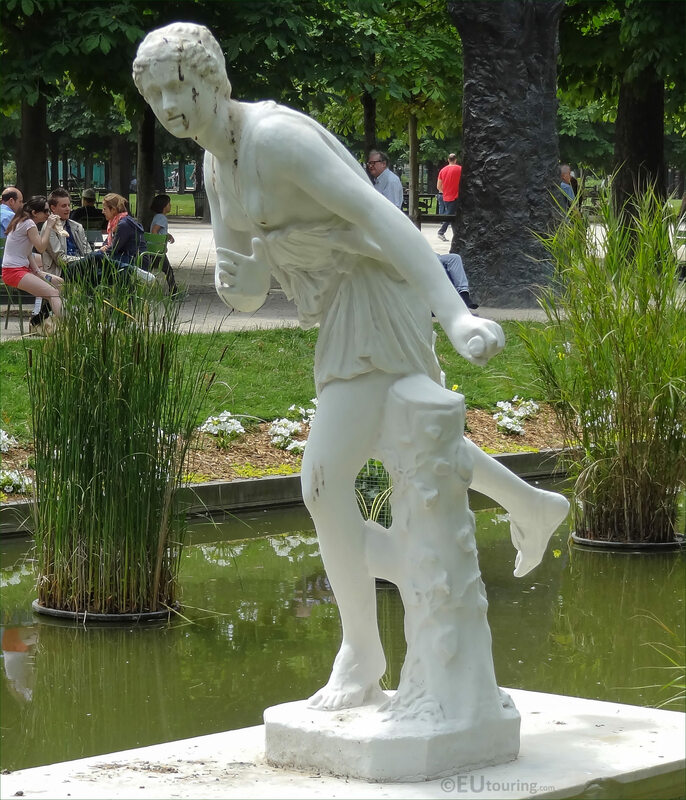 But with World War II and the fact that even this was such a historical statue, Atalante was moved into the Musee du Louvre and is still on display within the most visited museum in the world under inventory number MR 1804, yet it was restored between the years of 2004 to 2006 with the help of patronage from the Pari Mutuel Urbain. 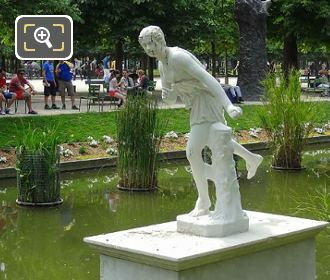 So the statue of Atalante by Pierre Lepautre, who was born in Paris in either 1659 or 1660 and passed away in 1744, is still held within the famous tourist attraction of The Louvre, which means that the version you can see in the pond within the Tuileries Gardens is actually a replica, or exact copy, in order to preserve the original for many years to come.